Bodysuits are everywhere right now and there's no better way to wear the trend than with Free People's Philo style. Made from figure-hugging fabric, the Philo has a lace-up corseted front that was made for your Instagram feed. 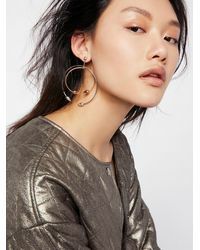 Choose from the range of colours available and wear with high-waisted jeans and pointed-toe boots for a laid-back look Kylie Jenner would be proud of.